This ear climbers called Padmâvatî will sure turn heads! Named after the fantastic Opera Ballet of Albert Roussel this is a piece is inspired by the magnificent era of Art Nouveau and ancient indian jewelry. Attached with just one piercing in the ear lobe, a little cuff (adjusted on order) will hold the piece on the ear. 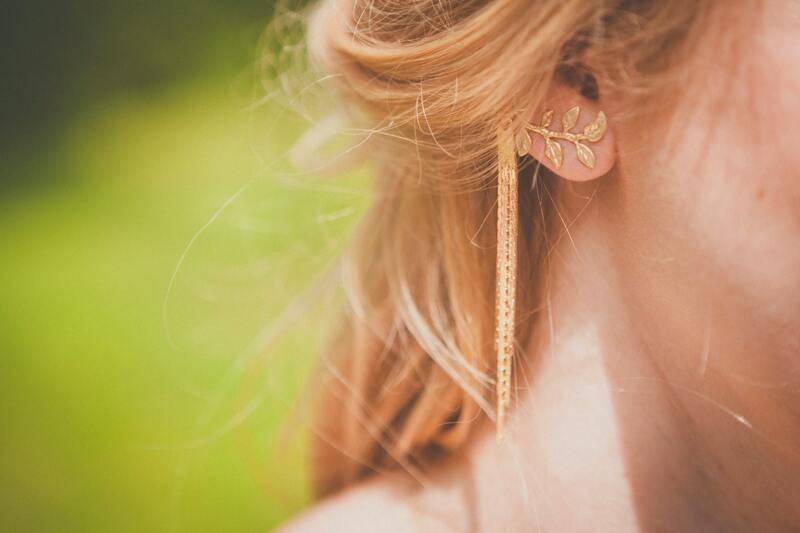 The ear post is made of Vermeil (gold 18k on 925 silver), that means it's perfect for anyone with allergies! 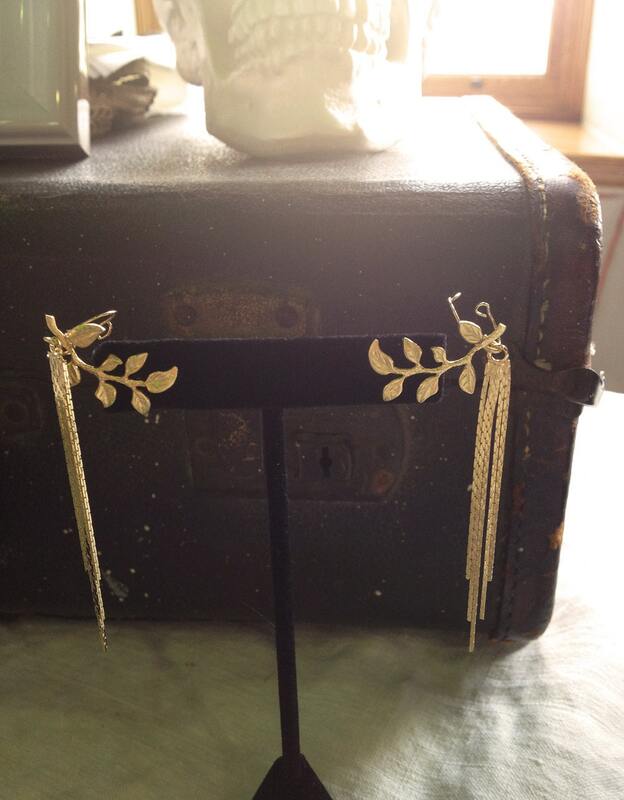 the delicate dangle chains are made of 18k gold plated, so it won't tarnish easily. Even though those are definitely statement pieces, they are very light, you won't feel them at all. Handmade with love in Montreal. 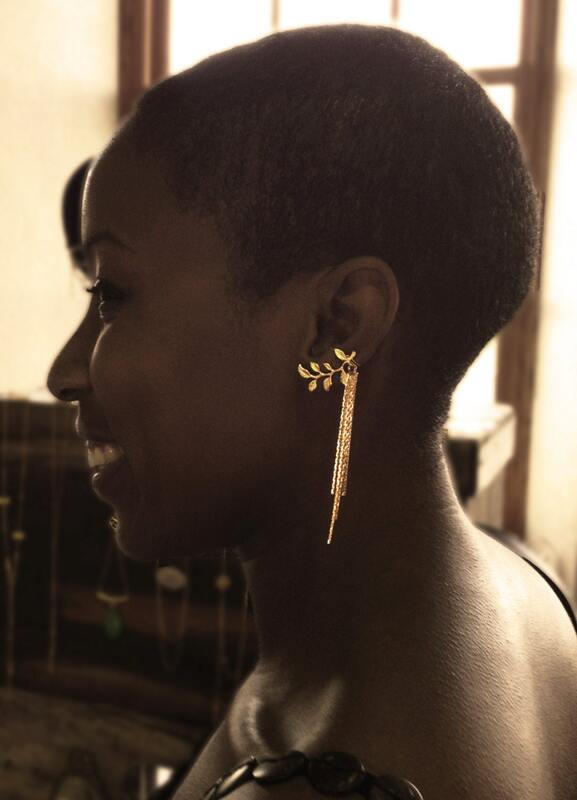 Disclaimer: these earrings are delicate and has to be handled with care.. PLEASE HAVE LOOK AT EVERY LISTING FOR THE EXACT DELAY, THANKS! We make everything by hand! If you need your order for a specific date, please contact us prior buying! we will create a reserved listing for you with expedited shipping included. 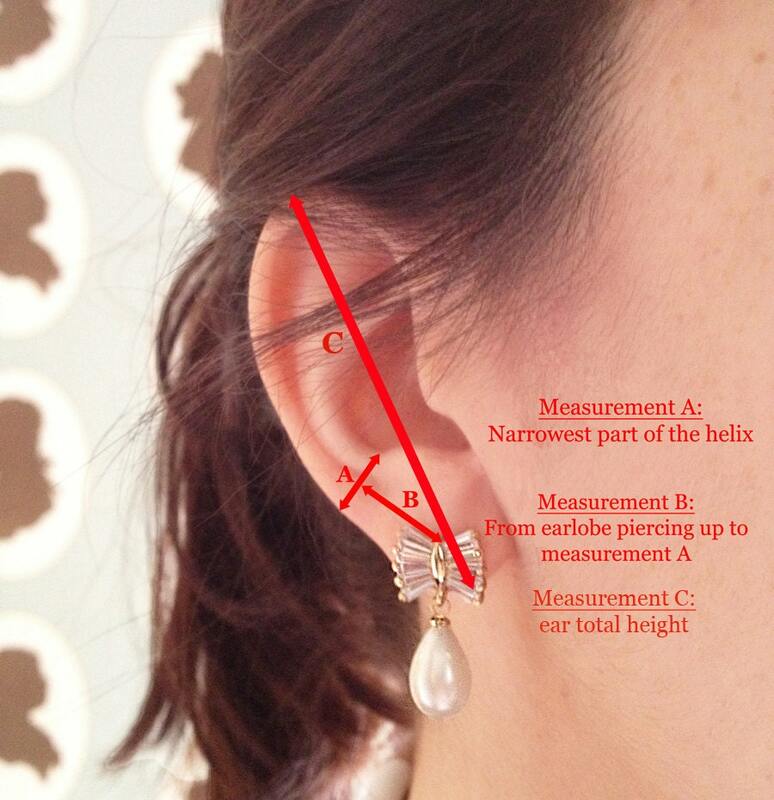 IMPORTANT NOTICE: When ordering, please convo us to give us your measurements A,B AND C FOR BOTH EARS (see picture 4) + send us pictures of your both ears (mention on each pic, which side it is) in order to adjust them perfectly for you. If we don't hear from you within 7 days, you will receive a standard size. 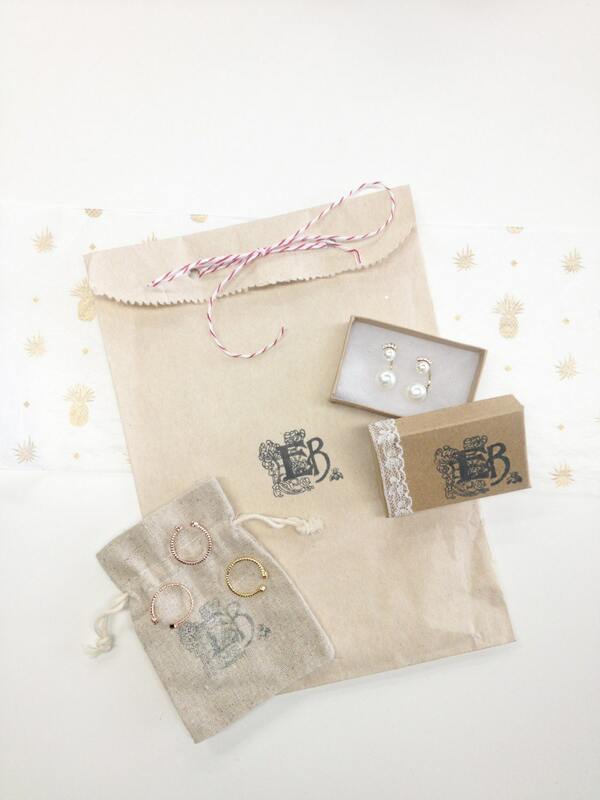 A special thanks to La Mariee Boheme rentals.